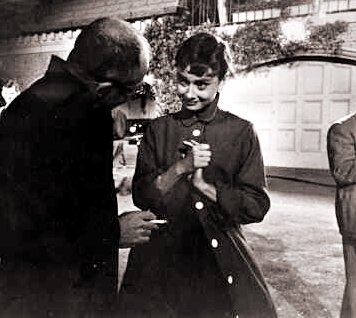 Audrey and director William Wilder talking on the set of Sabrina. Audrey and director William Wilder talking on the set of Sabrina. Wallpaper and background images in the Audrey Hepburn club tagged: audrey hepburn photos sabrina 1954 billy wilder.